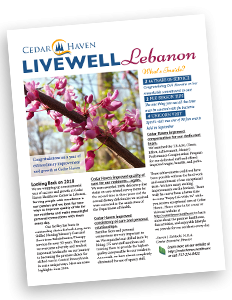 Choose a facility that is committed, trustworthy, fun, and dedicated to providing great care. 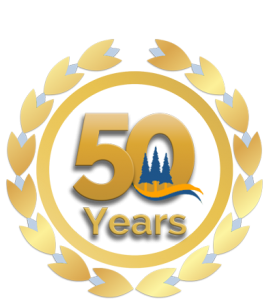 We have been serving Lebanon, PA and the surrounding area for over 50 years and are a premier choice for skilled nursing care in Central Pennsylvania. When you require nursing home care following a hospital stay, sudden illness or injury, surgery, or related to chronic disease management, we are here to provide the services that you need, twenty-four hours a day, seven days a week. 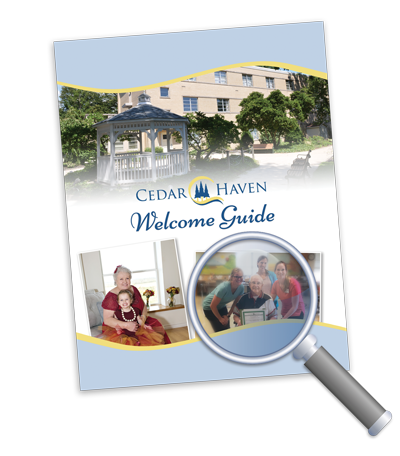 Why Choose Skilled Nursing at Cedar Haven? We are committed: Our team is made up of compassionate, skilled caregivers who have decades of experience providing the best care for residents and their families. We are dedicated: Our motto is “Commitment to Care.” We are here to help our residents meet their therapeutic goals and enjoy life!